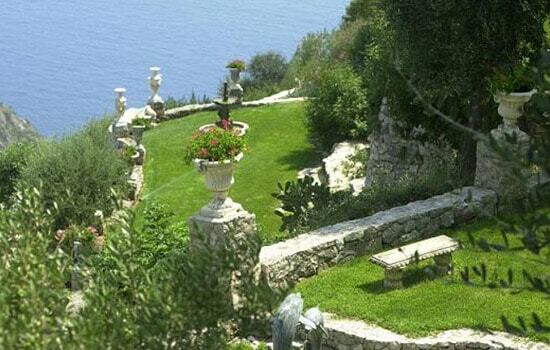 Château de la Chèvre d’Or has 4 Executive Suites named after artists who have visited Eze and La Chèvre d’Or. Opened in 2009, the Cocteau Suite, pays tribute to this prolific artist who left his mark on this place during his summer stays. Not far away, just before a small square in the village, is the Luis Navarro Suite. This musician and painter with such a recognisable style, both passionate and discreet, who was a contemporary and friend of Picasso, lived and worked in the region for many years. A contemporary, even « high tech », interior decoration in the Navarro Suite, and illustrations by the artists are a perfect match in these two very distinct suites. You can also stay in the Balokovic Suite, named after the Yugoslav violinist, Zlatko Balokovic, who, during a visit to the village, followed a goat with golden hair to a building he later restored and which became the famous Château de la Chèvre d’Or; or the Ferrero Suite, the installation of which was specially designed by Marc Ferrero himself, and plunges you into his world of La Comitive.